Thank you for choosing me to capture this special time in your life! Having a new baby, whether your first or fifth, is such an exciting and sometimes challenging time. My goal with this guide is to help you know what to expect on the day of your session, so that you can relax and enjoy that time with your family. I get asked this question most often, what do I wear for my fresh 48? What about the baby? For yourself, I say keep it simple and comfortable. You are recovering and being comfortable is the most important thing. I suggest your favorite night gown, robe, comfortable pants, or a tank. If you are looking for a comfortable and simple dress, check out dwell and slumber. They have adorable dresses and they are so comfortable! Plus they are easy to nurse in and come in so many prints and colors. For dad and siblings, keep it simple and neutral. Avoid shirts with words on them, logos, or bright/neon colors. For your new baby, I highly recommended starting the session with the classic white onesie from the hospital. This really captures those sweet elements of a hospital session and allow me to photograph all those sweet little details easily. If you want to personalize things, I suggest a hat, bow, or swaddle. Some of my favorites are Copper pearl or Little Unicorn. We also changed outfits for the baby if it is a full fresh 48. Most importantly, please notify via e-mail or text ASAP when you go into labor and once you have the baby. I am a mama to 3 littles so I really appreciate the extra notice to prepare a babysitter. These session typical take place the next day or so after delivery around 9 or 10 am, depending on how you delivered. Please do not hesitate to reach out with any questions or concerns prior to your session. I am not expecting to walk into a perfectly clean home! I am a mama and I know how hard it can be just to get everyone ready! I recommend choosing 2-3 rooms such as the living room, master, and nursery to declutter. Remeber it does not have to be perfect! Sometimes clearly nightstands or moving large items you would not want in images is enough. I will also move things if I need to on the day of your session. I will choose shooting locations based on the natural light in that room during our session. For all my sessions, I say start with yourself (mom). You will not feel 100% like yourself those first few weeks after delivery so choosing something you feel comfotable in is so important. For moms, I recommened a simple maxi dress, flowy top with leggings, kimonos, or chunky sweaters. Also, neutral colors work best and are so timeless. Avoid neon or bright colors as they will cast colors onto your baby and can be difficult to fix later. Siblings and Dad: I also say keep it neutral and comfy! Choose clothing that everyone can cuddle up in the floor or couch. Avoid clothing with words or bright/neon clothing. Barefoot or neutral sock is the best for this type of session. Baby: 1-2 outfits usually works best. A simple white fitted onesie is so timeless if you want to keep it simple. I usually bring along a few swaddles, hair bows and blankets that can be used for solo shots of the baby or during your family shots. I will send you a link to online styling service that you can style your whole family from the comfort of your home! I ask that you contact me via e-mail shortly after delivery so that we can get your session scheduled as soon as possible! Newborn sessions are usually shot around 10am. Prior to my arrival, I recommend turning up the heat or turning down the A/C in your home. A warm baby is a happy baby, especially for any unswaddled/diaper only shots. Feeding your baby about 20 minutes prior to arrival usually helps your infant to be calm and sleepy. It is not uncommon for your baby to be awake or need to feed again during the session. I am able to obtain nursing images if you wish during this time. These sessions are very laid back in nature. We let the baby or toddler guide our sessions. It is not uncommon for an infant to want to be held a lot during your session. And that is totally fine!!! I will not force a baby or toddler into doing anything they are not wanting to do. We can always try something else or take breaks, if needed. A newborn session typically last around 1-2 hours. When I arrive, do not be suprised if I turn off all the lights and open the shades. This helps me to see which areas of your home are best for shooting in. I may move around items. I will guide you and your family in poses but it also ok for you to just be natural with your baby and children. Sing, talk, or play with family just as you would if I was not present. Being yourselves is what will create the images you love. Once your session is complete, I will post a sneak peek on Facebook and Instagram, usually by the following day. You are welcome to share this post with family and friends! Once your gallery is complete, typically 2-3 weeks, you will receive an email for access to a private online gallery. It will be open for download for 2 weeks. I highly recommend printing your images through me or a high quality printer such as MPIX. I can not guarantee color quality at places like Walgreens, etc. 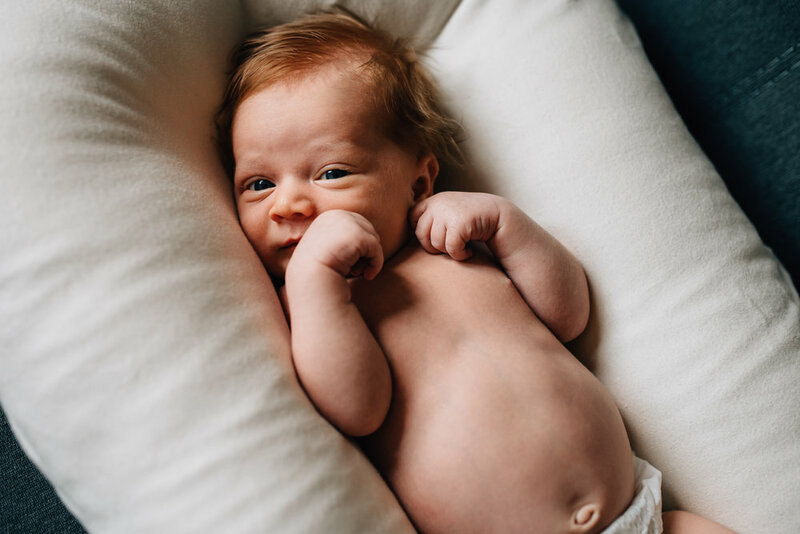 I am looking foward to your newborn session! Please let me know if there are any questions or concerns you have prior to your session. I am happy to help in anyway I can.